First Line: Like a latter-day Greek temple, the Schuyler family mansion sat atop a softly rounded hill outside Albany. Summary: Eliza Schuyler is the daughter of a wealthy general. Alexander Hamilton is the right hand man of General George Washington. 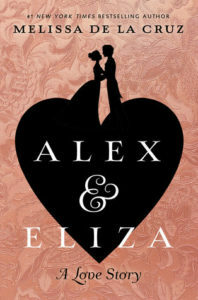 When the two meet at Eliza’s home, the first encounter is not the one of fairy tales. However, when they meet up again several months later their friendship grows and a romance for the ages is born in the midst of the American Revolution. Highlights: This is a very quick read and great for a first book about Alexander Hamilton. 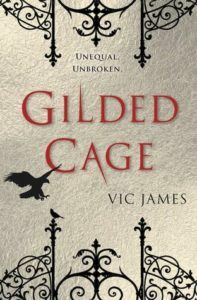 With the popularity of the musical, Hamilton, this book is appearing at just the right time. I know very little about the man who had a key role in the establishment of our country. I am a huge fan of Melissa de la Cruz. 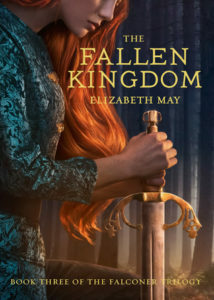 I think she does a good job of bringing this story to readers in a YA version. Lowlights: The book is almost more juvenile than YA usually are. I expected a little more surrounding the war. I do plan to read the next one as well. FYI: Perfect introduction into the story of Alexander Hamilton. First Line: I am the beginning of a girl: her throat filled with ash, desperately clawing her way from the earth with weak, trembling limbs and an urgent message on her lips. Summary: In the third book in the Falconer series, Aileana has returned from the dead and with powers given to her by a faery. She knows that in order to return her world to the way it once was is to find the Book and the only way to do that is to enlist the help of the faery who killed her. Highlights: Very action packed with many fight scenes and witty remarks. This book made me laugh often. I love the character of Derrick. He has been my favorite part since the very first book. Lowlights: The story seemed a little weaker than the rest. It could have been included in the second book as a short ending. The author seemed to stretch it out at times. FYI: Perfect for readers of Sarah Maas and Cassandra Clare. 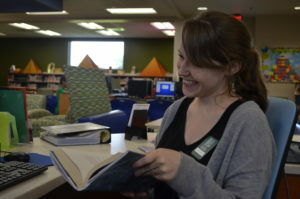 Register for the adult reading program, log your books, and be eligible for great prizes. 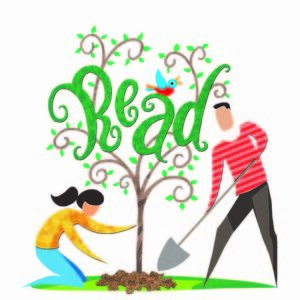 Are you participating in our adult summer reading program? If not, you ought to consider it. If you think you will read four books of at least 100 pages each, sign up! You will be entered to win some great prizes with every four books you read and log. Every week there will be a randon drawing for a book bag filled with books and swag. At the end of the program, three lucky random winners will receive a new Kindle HD tablet and a $50 Amazon gift card. Click here to register and log your books through July 23. If you are looking for some new books to read this summer (then log them as part of summer reading! ), here are some new releases scheduled for the second half of June. This first book in the new Jane Hawk series promises a new series loaded with the signature suspense of Dean Koontz. Jane Hawk, the widow of a man who committed suicide, does everything in her power, despite her grief and anguish, to learn the truth behind his death. Jane’s husband was just one among a surprising number of people who are happy, talented, accomplished, and of sound mind who are killing themselves. As Jane seeks to learn why so many people are committing suicide, she becomes the most-wanted fugitive in America. A dirty cop that everyone thinks of as a hero, because he is the highly decorated leader of a special unit that has been given carte blanche to fight gangs, drugs and guns. What he really is has him caught in a trap, trying to avoid getting caught by the Feds while trying to protect his crew, his family and the woman he loves, all while the city is teetering on the brink of a disaster. 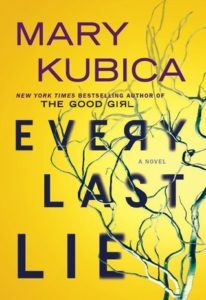 “Every Last Lie” is the newest thriller by Mary Kubica. Clara’s husband, Nick, and daughter are in a car accident and Nick is killed. When her daughter, Maisie, starts having night terrors following the accident, Clara starts to wonder if there’s a lot more at play than a simple accident. Driven by a desire to know what really happened, Clara will stop at nothing to learn the truth in this thriller that is told in the alternating voices of Nick in the months leading up to the crash and Clara’s investigation following it. This young adult novel explores the life and relationships of India, Eloise and Finn. India’s mom is engaged to Eloise’s father, and when India tried to befriend Eloise and become friends with Finn, it becomes apparent that what is visible to the outside world often hides the real truth. A young American woman, Virginia, flees a family secret and becomes an ambulance driver in World War I France. A charming British army surgeon (Simon) pursues her, and they eventually marry. Five years later, the young widow and her daughter, the daughter whose father never met her, are in Florida to settle Simon’s estate. Simon’s brother and sister welcome Virginia to the lovely oasis of Cocoa Beach, but Virginia is determined to find out what really happened to Simon, because she is not convinced he died in the house fire that destroyed the seaside home he built for her. 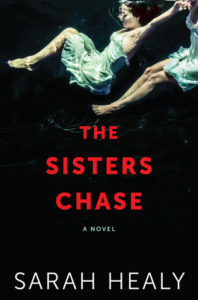 “The Sisters Chase” promises a whirlwind adventure with the Chase sisters as they cross country looking for a better life. Mary, Hannah, and their mother Diane run a seaside motel. When Diane is killed in a car accident, the daughters find out the value of the motel is less than the back taxes they owe on it. They set out across the country in the hopes of finding a new and better life, while the secrets Hannah carries threaten an even greater loss. First Line: She heard the motorbike first, then the galloping horse—two distant points of noise in the darkness, converging on her as she ran. Summary: England is being ruled by the Equals, people with powers called Skill. They overthrew King Charles and have ruled ever since. When the Equals took power they invoked new laws including the 10-year period of slavery for all the commoners. When the Hadley family decides to start their slave days they are hoping to all be sent to the manor house of Kyneston to work for one of the leading Skilled families. However, Luke, the teenage son, is sent to a slave town instead. As each member of the family works their slave days, they each begin to learn about the Skilled and the world that they live in. Highlights: Good dystopian storyline. I still cannot figure out what to make of the Jardine brothers. The Hadley family is the straightforward characters of dystopian fiction but the brothers are a little more complex. Are they good? Are they bad? I cannot wait to find out. Lowlights: Nothing to complain about except that it ended at a cliffhanger. What is going to happen? How are they going to continue? FYI: Great for readers of Hunger Games and Harry Potter! First line: They gave her the bed by the window, the one closest to the toy box. Summary: Former reporter Eleanor Harper becomes the director of a famous artists’ retreat near Lake Superior, Cliffside Manor. Not long after Eleanor’s arrival, she finds the kindly old woman who is the daughter of the founder and who has been director of the retreat dead in her room. Lots of wonderful spookiness ensues. Strange things happen to the artists in residence, and Eleanor herself finds that she has experiences that she can’t explain. Not all those who live at the retreat are as they seem as this story unfolds. 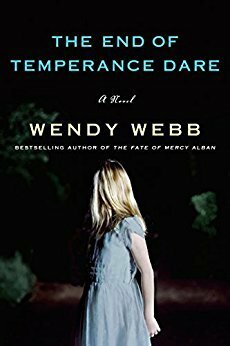 Highlights: Wendy Webb is a master at setting a scene, and creating a wonderful Gothic atmosphere, and she is as good at doing so for Cliffside Manor as in any of her other novels. I love the way she develops her characters in this book, making it difficult to discern a person’s true character. As I was reading I thought I knew exactly what was happening, then she would reveal some small nugget of information and I would begins to second-guess myself. A few or a few dozen pages later the story would take a new twist that would leave me guessing again. I really enjoyed the suspense and the mystery of the characters in this book. Lowlights (or what could have been better): To be honest, I pretty much never read a book looking for holes, problems or other weaknesses, and I didn’t find any in this book. My greatest critique would be in the setting in the actual building. I could clearly see in my mind the grounds around the building, and the outside of the building, but I had a difficult time imagining what the interior of the building looked like. FYI: I don’t think there’s anything significant to be aware of about this book. It’s a slightly different feel than Webb’s other books, but I found it satisfying. It has a classic Gothic ghost story feel, but doesn’t cross the line to horror (at least by my definition). First Line: The end is near. Summary: We all know who Albert Einstein is. But do you know the other Einstein? Mileva Maric is a young Serbian woman with a lame leg and a mind for math and science. She always expected to live a life alone in the pursuit of a degree and job in physics. 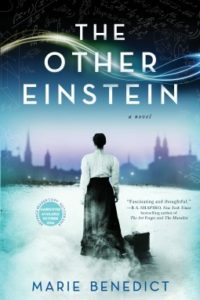 While attending the university in Zurich she meets a young man, Albert Einstein, and her plans for her life change. Highlights: I had never heard of Mileva Maric until I read a YA novel by Margaret Peterson Haddix. She sounds like a fascinating woman that has been forgotten by history. 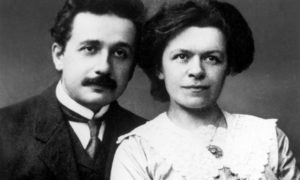 Married to one of the greatest minds in history and working alongside him there is great controversy about if she was a contributor to the theories and breakthroughs of her husband. I like that the author has fleshed out and brought this woman to life. I understood her plight with herself about giving up her dream to marry. As a reader I could feel her pain and struggle as I read. Lowlights: Unfortunately when reading historical fiction and learning about a person there are elaborations or stretches. But there are also truths. It is always hard to see a well-known figure made human and see the faults that lie within them. Benedict presents Albert’s faults and it tarnishes him a little. FYI: Very informative about the early life of Albert Einstein. This review was written by our new Youth Services Assistant, Kayley Ramsey! Kayley has been living in the Wichita/Derby area for about eight years and teaches photography classes at Wichita City Arts. She’s a lover of historical fiction, fantasy, and anything with a great adventure. 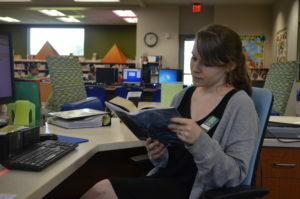 Feel free to come back to the Youth Services desk to meet her and get some great book recommendations! First Line: Guilt is a hunter. Summary: On January 30th, 1945, three Russian torpedoes sunk the Wilhelm Gustolff, a German ship carrying 10,582 passengers, the majority being refugees hailing from all parts of Europe escaping war torn territory. Over 9,000 of those passengers died that night in the Baltic Sea, a tragic 5,000 at least of those were children. It is by far, the most deadly maritime disaster to have ever occurred dwarfing the infamous Titanic and yet it is often overlooked by history books and World War II accounts. Salt to the Sea tells the fictional account of a traveling group of refugees, each with their own secrets and goals braving war-torn Europe to make their way to the fateful Wilhelm Gustolff and toward freedom. Highlights: Salt to the Sea is beautifully written from multiple perspectives, illuminating a charming, brave, and lovable band of characters that you really don’t want to drown in the Baltic Sea. 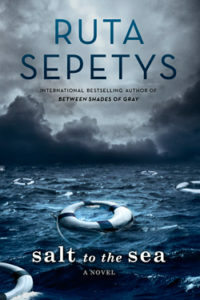 Sepetys makes a point of shedding light on the suffering on all sides of a war. She seeks to tell the history of people groups that suffered during World War II, yet aren’t often talked about or remembered. 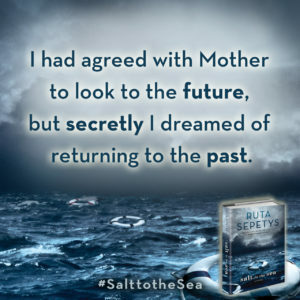 In this, Salt to the Sea is an eye opener, reminding us all of the totality and the span of war and hatred. The book is as educational as it is moving. Lowlights: This book is not for the faint of heart. It speaks realistically of the horrors people faced in wartime, both at the hands of human hatred and by the forces of nature. Several times, I had to slam my book shut and rant to my husband about the horrible injustice of it all but then of course, I quickly picked it back up because Salt to the Sea is a page turner and against your better judgment, you are going to get attached and want everyone to live happily ever after. FYI: I am already biased toward Ruta Sepetys’ work. 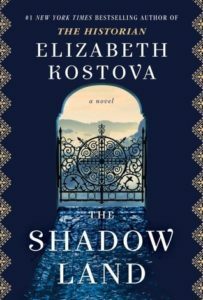 Her other two novels, Between Shades of Gray and Out of the Easy are riveting reads. Between Shades of Gray also takes place during World War II and has some overlapping characters from Salt to the Sea. Aaahhhh. Summer is finally here! The kids are out of school, the pools are open and the sun is (we hope!) shining. Summer just screams at me to pick up a new book — or several! — and climb into the hammock under the tree and ignore everything else for a while as I lose myself in the pages. When I was a teenager, we lived just a couple blocks from the local public library, so I would ride my bike over, pick up a few novels, come home and jump in the hammock to read. My family always knew where to find me in the backyard. And now that I am, well, let’s just say not a teenager any longer, and my summers aren’t nearly as free as they were when I was 14, my heart still yearns for the hammock, a light breeze and a stack of good books. Luckily, with all the new releases to look forward to this month, my stack will stay nice and tall. Here are a few titles we are looking forward to that will be released the first couple of weeks of June. This, the 13th novel from Sarah Dessen, takes place in the world of wedding planning, so a crisis is just about guaranteed. Louna is the daughter of a famous wedding planner, so she has seen weddings at beaches, hotels, and fancy clubs. After her first love ended tragically, Louna is pretty cynical about happy endings. So when she meets Ambrose, she works to keep her distance. However, now that he’s met a girl he really wants, Ambrose is hard to discourage. 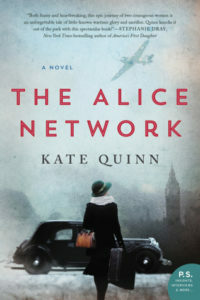 “The Alice Network” is the newest historical novel by Kate Quinn. This new historical novel by Kate Quinn brings together the stories of a 1915 woman, Eve Gardiner, recruited as a spy in France, and a 1947 unconventional American socialite, Charlie St. Clair. Charlie is sent to Europe to have a “little problem” taken care of, but while there she goes on the hunt for her cousin Rose, who disappeared in Nazi-occupied France during the war. There, Charlie meets Eve, who, desperate to fight against the Germans, is trained by the “Queen of Spies” and sent into enemy-occupied France during the World War I. A daring heist from a vault deep below an Ivy League university’s library. A dealer in rare books, who also occasionally dabbles in the black market of stolen books and manuscripts. A young female novelist who goes undercover. Eventually, people learn too much. Suspense as only Grisham can deliver. Take a trip to Old Hollywood in this story of one actress’s story of her life, secrets, and all seven husbands. 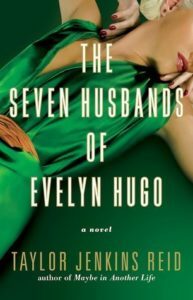 Evelyn Hugo, one of the most glamorous actresses of Old Hollywood, has decided the time has come to tell her story, and the truth, about her scandalous life. To do so, she chooses unknown magazine report Monique Gray, who is not exactly at the top of her own world, but is determined to use this chance to jump start her career. As Evelyn’s life unfolds, it becomes clear that her life intersects with Monique’s surprisingly in tragic and irreversible ways. Kristoff, an apprentice stamp engraver in Austria, is forced to work for the Germans after his teacher, a master stamp engraver, disappears during the Kristallnacht. Fifty years later, Katie Nelson discovers a stamp collection of her father’s, which includes an unusual stamp from World War II Austria. The discovery leads Katie and Benjamin, an appraiser, on a journey to find the origins of the stamp.